Once the stuff of science fiction movies scientists have managed to grow a (small) brain in a jar. Scientists in Singapore have successfully grown functioning midbrain tissue – a feat that may bring researchers a step closer to finding a cure for brain diseases like Parkinson’s disease. The group of researchers from the A*Star Genome Institute of Singapore, the Duke-NUS Medical School and the National Neuroscience Institute announced their findings from their two year research effort to the press on Thursday. While other researchers have previously managed to grow brain tissue in a lab, the Singapore team says their “eureka moment” came when they found the midbrain tissue had created neuromelanin, a pigment found in the human midbrain. The midbrain is located in the brain stem, and is the part of the brain responsible for controlling auditory, eye movement and body movement. The brain of a Parkinson’s disease sufferer shows depleted levels of neuromelanin, which has been associated with protecting cells from dying. With the functioning midbrain tissue, the researchers hope it can provide new testing ground for possible cures for the disease. Professor Ng Huck Hui, the Genome Institute’s executive director, said the midbrain tissue had been grown from pluripotent cells – stem cells that can be programmed to become any tissue. 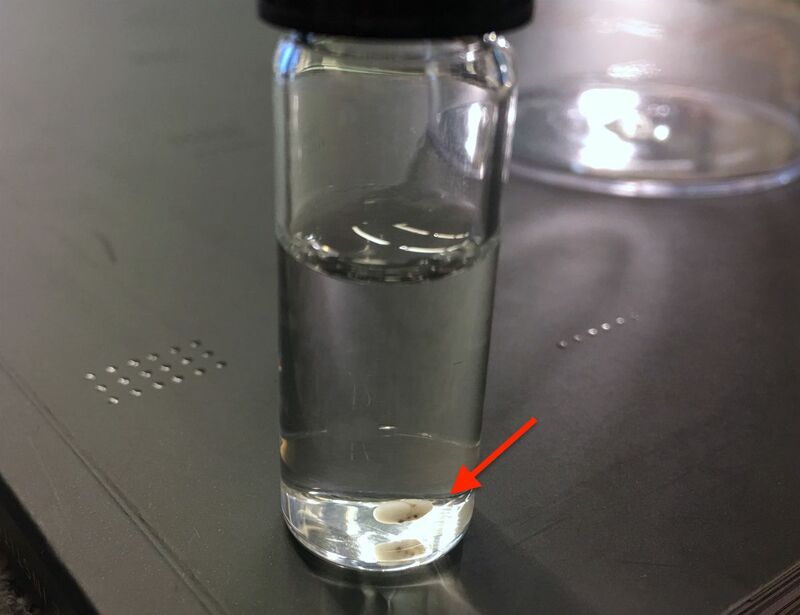 The scientists had established a method of turning the cells into midbrain tissue, and noticed the neuromelanin in the “mini brains” that they had grown in their jar. “We didn’t expect to find the black pigment there,” he said, adding that the discovery opens the path for more targeted, individual cures. Theoretically, doctors could grow many mini brain replicas from skin cells taken from a Parkinson’s patient, allowing specific testing and treatment to be done for the individual, said Professor Ng. Each brain organoid is just 2 to 3mm in size, and took just over a month to grow. The tissue’s neurons are “live and firing,” the team said. According to the Singapore Ministry of Health, three in every 1,000 Singaporeans over the age of 50 suffer from Parkinson’s disease.